For my friend Billy’s birthday, I gave him the first honorary membership to the cake of the month club. 🙂 So every month, I will be baking a cake for him. I’ll probably mix it up with cookies, pies and other desserts, but mostly cakes. The first cake was his actual birthday cake, and I made him one of my favorite cakes of all time. I’ve been making this cake almost yearly since I received my “Joy of Cooking” from Aunt Suzy, probably around 2000 or 2001. 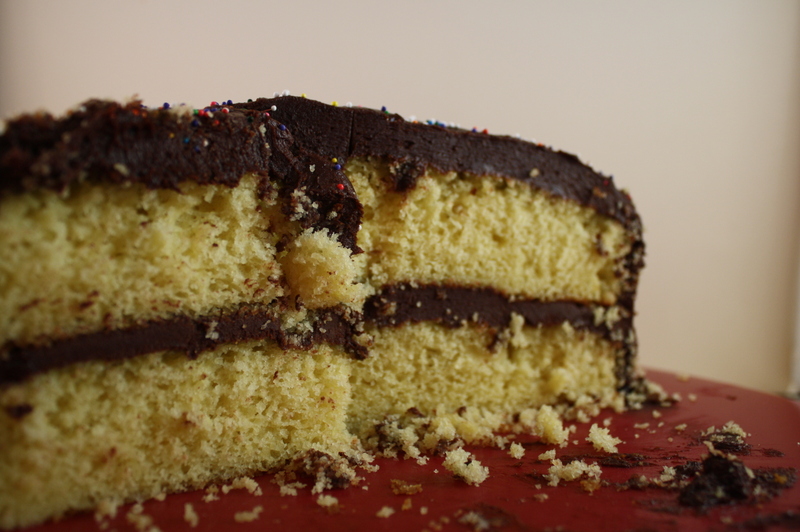 The cake is very moist and tender, and has wonderful flavor! 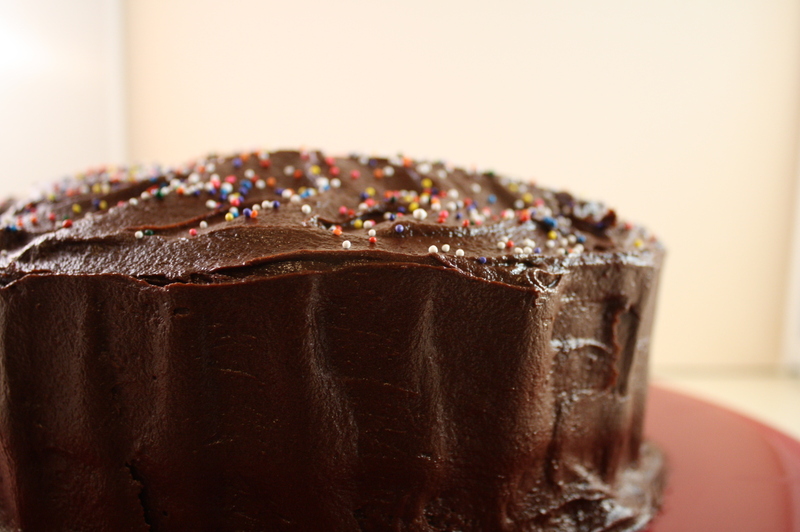 I used to make a basic chocolate butter frosting for this cake, with cocoa, butter, powdered sugar and milk. It’s also delicious with a creamy vanilla buttercream. But this frosting is THE BEST chocolate frosting I have ever had. It is rich and creamy, has amazing flavor and texture. Of course, leave it to Cook’s to come up with the best. I’ve made this frosting several times now, and it always goes off without a hitch. However, this time I didn’t let the chocolate cool enough, so when I added it to the mixture, all the ingredients separated and turned into a brown and white mess! This was easily fixed (but time wasting, that’s for sure!) by putting it into the refrigerator for a few hours (I did it overnight), then bringing it out and letting it get back to almost room temperature. I then just whipped it by hand with a wooden spoon, and it turned out perfectly. 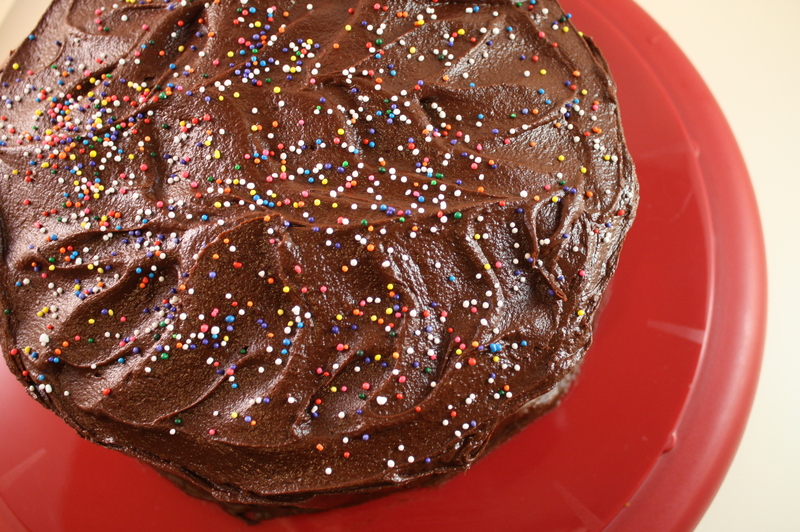 You can also make this frosting with semi-sweet chocolate, and it is even richer. Preheat oven to 350 degrees. 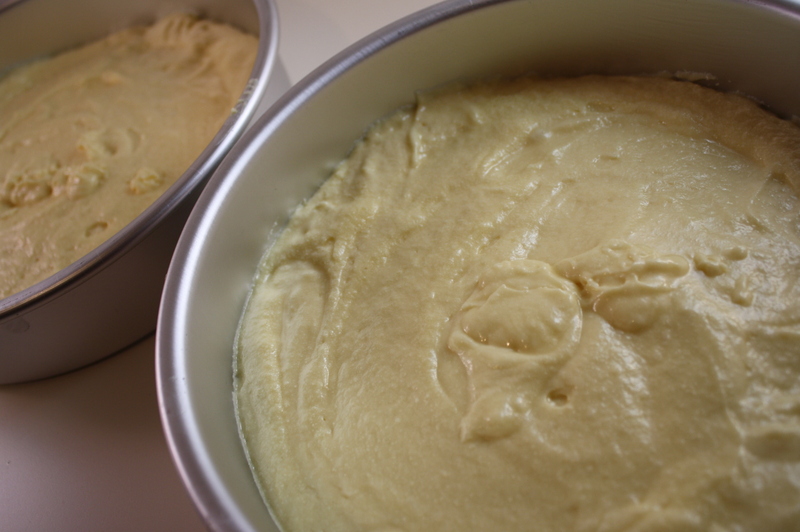 Line bottoms of two 8×2″ round cake pans with parchment paper. Sift together flour, baking powder, baking soda and salt onto a large piece of waxed paper or into a medium bowl. Set aside. In a stand mixer fitted with the paddle attachment, beat the butter until creamy, about 30 seconds. Gradually add the sugar and beat on high speed until lightened in color and texture, 2 to 4 minutes. In another small bowl, whisk together the eggs and vanilla lightly. 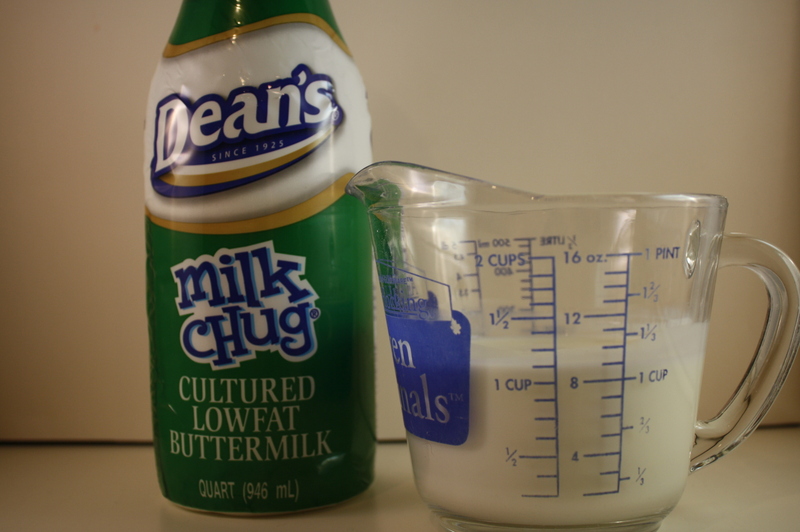 Gradually add them to the butter and sugar mixture, beating on medium high, taking about 2 minutes. Add the flour mixture in three parts, alternating with the buttermilk in two parts, beating on low speed or stirring with a rubber spatula until smooth and scraping the sides of the bowl as needed. Divide the batter between the pans and spread evenly. Bake until a tooth pick inserted into the center comes out clean, 30-35 minutes. Let cool in the pans on a rack for 10 minutes. 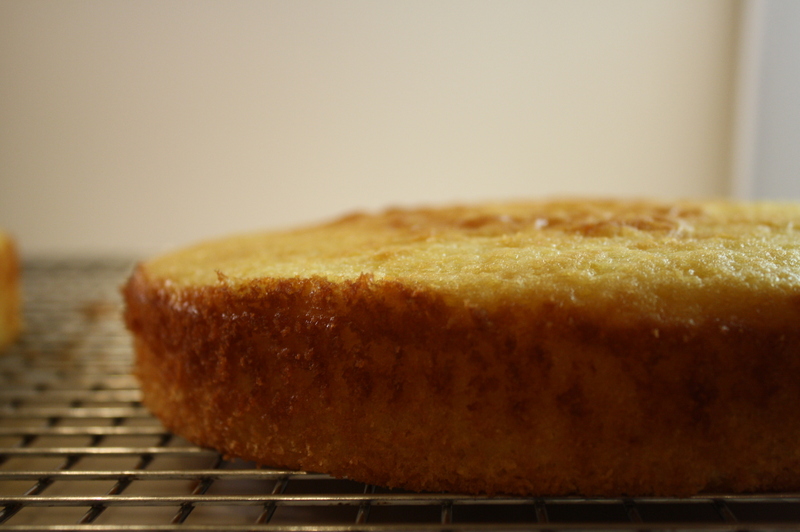 Slide a thin knife around the cake to detach it from the pans. Invert the cake and peel off the paper liners, and let cool right side up on the rack. Let cool completely before frosting, but do not let them sit out for too long or they will become dry. In food processor, process butter, sugar, cocoa, and salt until smooth, scraping sides of bowl as needed, about 30 seconds. Add corn syrup and vanilla and process until just combined, 5-10 seconds. Scrape sides of bowl, then add chocolate and pulse until smooth and creamy, 10-15 minutes. oooooeee…one of my favorites! 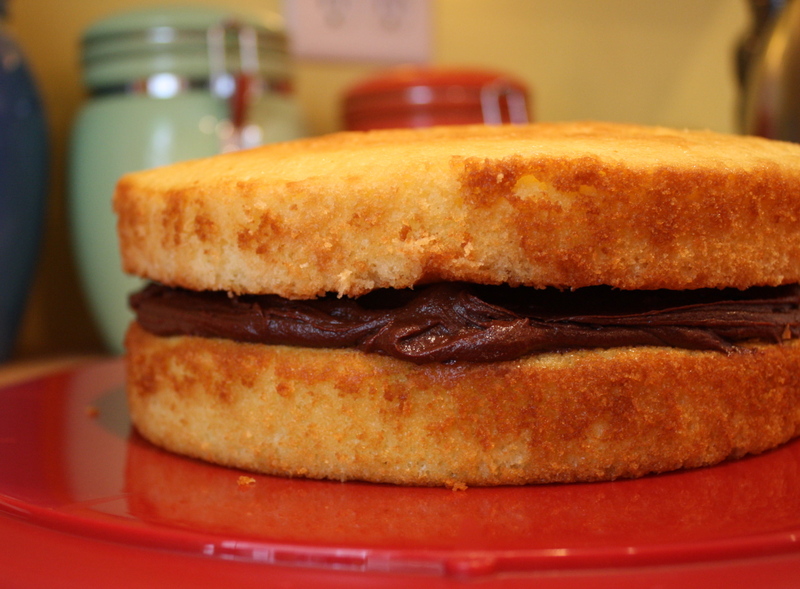 Yellow cake with chocolate frosting! What are you making this weekend?